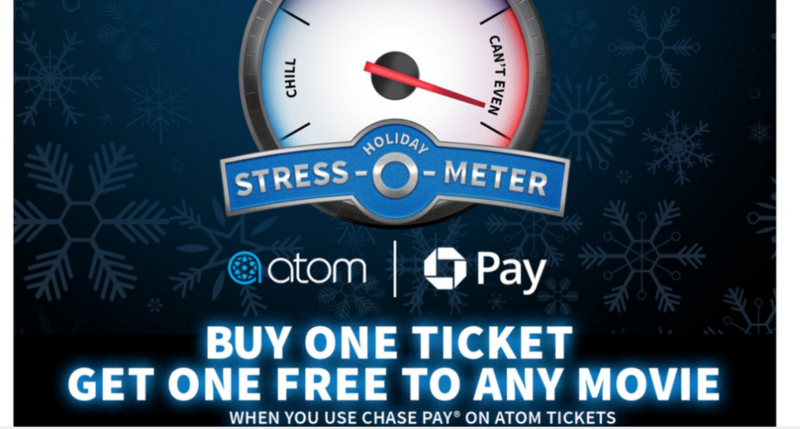 For a limited time, Atom Tickets is offering the B1G1 deal when you use Chase Pay. It’s a great way to save at the movies. You can even pre-order movie tickets for a date in the future as long as you purchase your tickets before 12/16. I saw a ton of movies that are opening at the end of December that were already available for pre-order. Select a showtime for any movie and add at least (2) tickets to your cart. Use Chase Pay as your payment method and the discount will apply automatically. If you have never used Chase Pay, you will be prompted for your Chase online username and password to get started. Also, your phone must have security enabled fingerprint, TouchID, passcode or PIN sign-in. Offer valid through 12/16, or while supplies last.